Since October 2012, the Samuel Fox has been in the ownership of James Duckett. 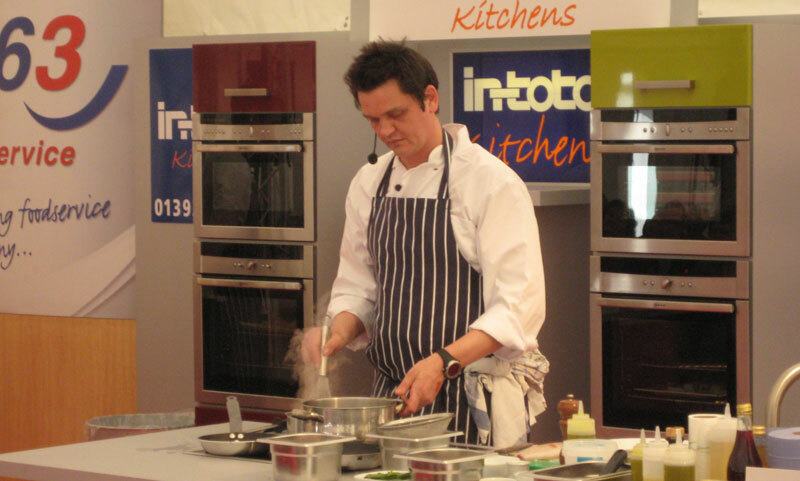 Born in Lancashire, after graduating in hospitality management from Nottingham Trent University, James commenced his career as a junior chef at a small restaurant near Bordeaux. He then moved to work under the legendary Albert Roux in Amsterdam and later, Michel Roux jnr. at the two Michelin star Le Gavroche in London. He was part of the team which opened Gordon Ramsey’s second restaurant venture, L’Oranger under Marcus Wareing and then he joined Philip Howard at the Square in Bruton Street, where he was part of the team which secured its second Michelin Star. He worked in Sydney for several years at two of its finest restaurants as sous chef then, on returning to Europe he was appointed head chef at a boutique hotel near Ronda in Spain where, later he opened his own restaurant. After five years in Spain, interspersed with some winters spent as chef on a Caribbean super yacht, he moved back to the UK in July 2008, opening his eponymous restaurant in North Devon shortly afterwards. From late 2012, following the collapse of the proposed relocation of his restaurant to a Devon country house hotel, James spent six months as head chef at the private members’ club on the Goodwood Estate before taking on his first pub venture at the Samuel Fox. 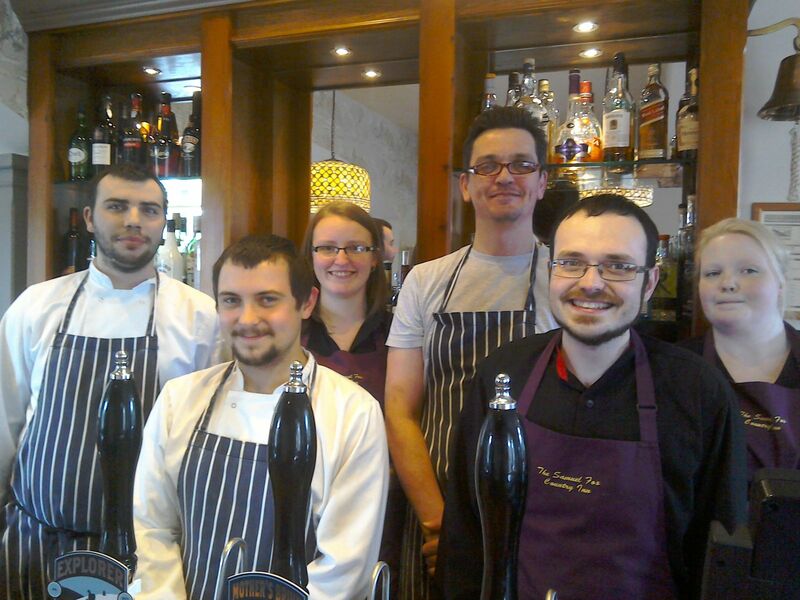 Left - James wearing glasses (centre) with from left, chefs Warren and Andy, and front of house team, Leanne, Liam and Sabrina.